After the stock market’s crazy patch, experts show how to best use the so-called alternative mutual funds flooding the market. The U.S. economy is all about finding alternatives. You can have Coke or Pepsi. Want to buy a car? You’ve got two-doors, fours-doors, SUVs, pickups and station wagons. Looking for something besides Jersey Shore to watch? There are at least 500 other cable channels to choose from. So even though it has taken a while, it’s not surprising that “alternative” assets have become popular in our investment portfolios. 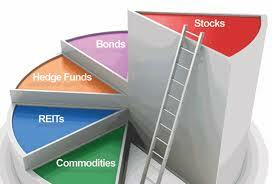 This year folks have been buying up mutual funds that offer choices beyond buying and holding stocks. But out of the 269 mutual funds that research firm Morningstar throws into the alternative category, only about half have been around since the market crash of 2008. That means that while these newfangled funds have been pitched as a way to ride out a crashing stock market, there hasn’t been a chance to prove that they actually work…until now. When the market began its roller-coaster ride in late July, investors finally saw which alternative funds, which they had plowed nearly $9 billion into since the start of the year, lived up to their billing. And some investors were certainly happy with the outcome. While Standard & Poor’s 500 index nose-dived 17 percent in a matter of weeks, two of the fastest growing types of alternatives lost only about 2 percent. At the same time, another of the most popular categories of new funds, on average, lost less than half as much as the broader market. Still, many of these Rube Goldberg-esque funds, regardless of their stated strategies, didn’t do better — and sometimes much worse — than the broad stock market. Experts are saying the performance of these alternatives could vary just as much as that of any plain-vanilla stock fund. “None of the alternative strategies are bad strategies, but there are some bad funds,” says Nadia Papagiannis, Morningstar’s director of alternative-fund research. Managed-futures mutual funds and market-neutral funds, the groups that lost only 2 percent, on average, were gaining in popularity with investors before the market’s volatility came back — they took in $4 billion in new money in 2011 through July. Both strategies often involve using futures contracts or other derivatives to lower the risk of a big market move damaging the fund’s performance. These funds did just fine, experts say, but as a group, they might not rise as much as other funds if the market rallies. Then again, “maybe you don’t need to gain as much if you’ve lost less,” says Jeff Tjornehoj, a senior research analyst at Lipper. But when most people think of alternatives, they think of something such as the long-short fund, the second most popular type of alternative (No. 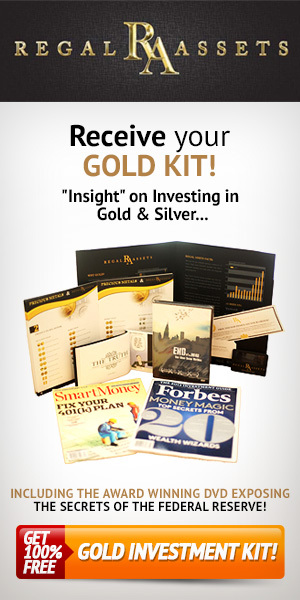 1 is precious metals, which not everyone considers an alternative). Long-short funds draw on tactics that hedge fund wizards have been using for a few decades; they can bet against stocks or the entire market, for that matter, and sometimes use borrowed money to goose these bets. Long-short funds, as a group, were down about 8 percent during the summer swoon. One of the largest long-short mutual funds was also one of the best to own during the bumpy ride: When the market was tanking, the $591 million Turner Spectrum fund fell less than 4 percent. Nevertheless, simply owning a long-short fund didn’t ensure that you rested easy during the market’s manic days. The returns of the $12 million Rydex SGI Alpha Opportunity fund were among the worst of any long-short fund, falling nearly 22 percent in just two weeks. The fund has lost 2.5 percent a year, on average, in the preceding three years. A Rydex spokesperson declined to comment. Some pros are skeptical of long-short funds because of their uneven performance and their relatively high cost; a number of them sport fees as high as 4 percent of assets a year. Tjornehoj says that during the midyear downturn, many long-short funds had returns that were comparable to a traditional portfolio of stocks and bonds — a performance that doesn’t justify their higher costs, he adds. Using alternative exchange-traded funds could be a way to cut those costs. But the jury is still out on whether an ETF, which typically tracks an index, can succeed in mimicking an investment style that was inspired by hedge funds that trade constantly. The $108 million ProShares Credit Suisse 130/30 ETF, the largest of the long-short ETFs, essentially traded along with the broad S&P 500 during the market’s volatile days. Despite the recent challenges, experts predict that more alternative ETFs will hit the marketplace in the next few years.